Everyone loves a delicious-smelling candle, which is why we created our list of best scented candles in the world. Some people may argue that what makes a candle is its looks. There’s nothing better than a stylish looking candle on the coffee table. Others believe that synthetic candles are of the devil. There are fans of real tealights versus battery operated ones. Led versus drip. But one factor that the world uniformly agrees that a candle must have? A good scent. To truly discover the best scented candles, we went to one of the world’s most popular online retail stores for the answer: Amazon. By searching their lists of best scented and best selling candles, we chose from only those with over 300 reviews to narrow it down. All of the candles on our list also have a minimum rating of 4 stars. And with the amount of reviews some of these have, that’s a pretty high ranking. Keep in mind that all the candles we chose from were scented, so battery operated, and naturally unscented candles were not ranked. 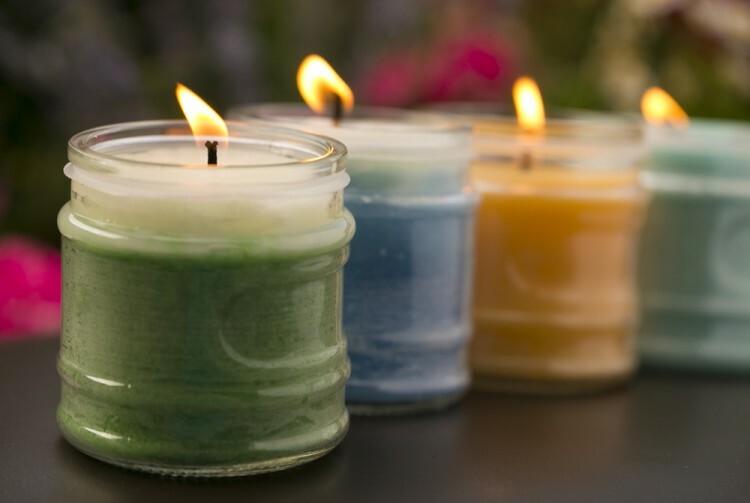 Though some have a preference for certain types of candles like soy wax, this list encompasses all types of scented candles. Although some soy candles do appear on the list. What brands showed up on our list? Some you would expect, like Yankee and Bath and Body Works (see also: 10 Best Fall Scented Candles at Bath and Body Works). Other brands are not so well known, like Our Own Candle Company and Trapp. Some candles remind you of the summer. Some candles remind you of the winter. Some have slightly amusing names like Smell My Nuts. Nice going, whoever named that–hilarious–although you’ve just convinced me never to purchase that one. While some other candles will give you immediate cravings for whatever food they replicate. However, you’re sure to find one to love out of them all because the public has voted them the best. From our findings, we found fresh and clean fragrances to be a big hit, less so than food or floral scented candles. Candles centering around nature-induced aromas also show up frequently. Either way, here’s our list of best scented candles in the world. If you try them all, they may become the best scented candles in your world as well.